I literally flipped over yesterday's layout and made this one right on the back. The base page is Double - sided, so why not!?!?! This is my other beautiful girl, Brinkley. 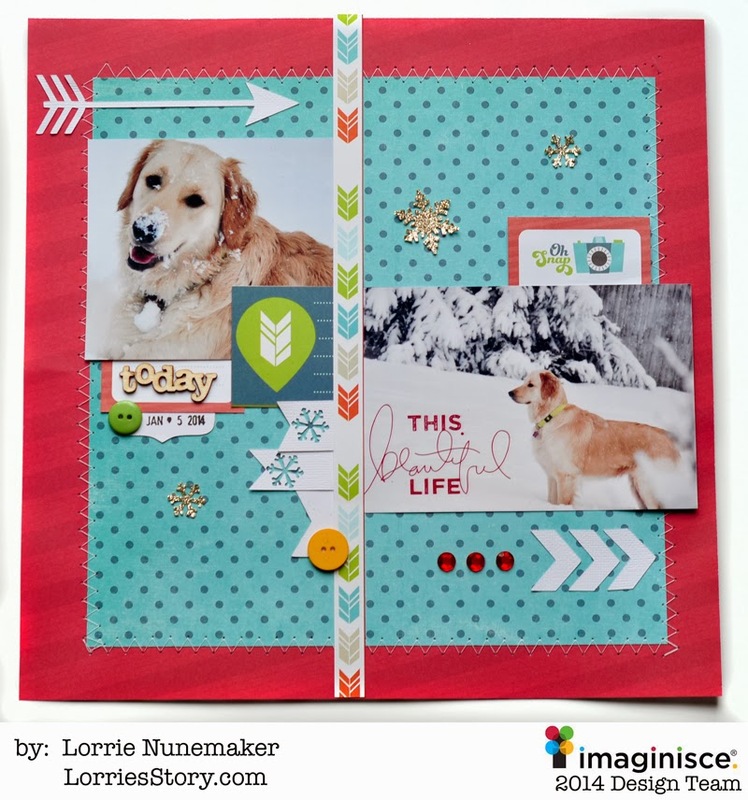 This layout also features the new release by Imaginisce called "Perfect Vacation".